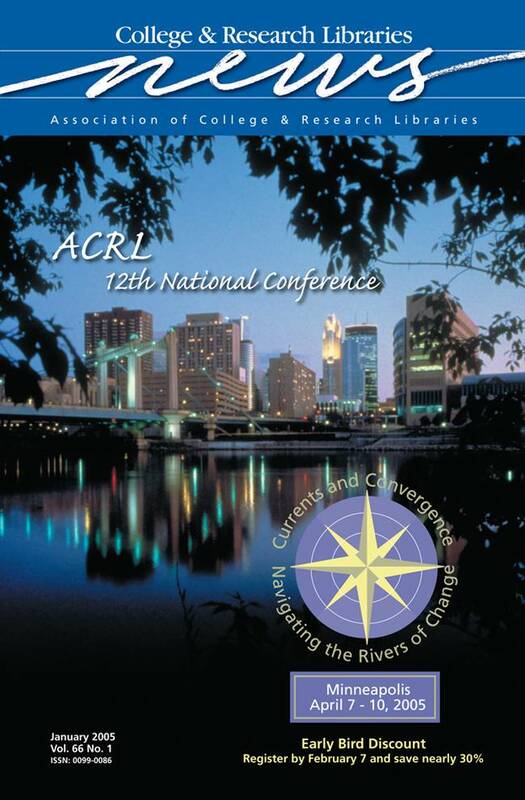 ACRL invites you to take a step back from your everyday work to explore the major issues, challenges, and opportunities facing academic librarians during its 12th National Conference, April 7–10, 2005, in Minneapolis. The conference theme, "Currents and Convergence: Navigating the Rivers of Change," and program sessions emphasize the currents in our internal and external environments as well as the convergence that connects people, research, technology, and resources in new ways. More than 200 stimulating programs will be offered. See the preliminary program in this issue (page C-1) for complete details and registration materials.